If you are an agent or broker struggling to convert leads on your website, or perhaps could use more, consider the possibilities of LIVE chat. No, I don’t mean a plug-in that stands idle for someone to leave a message while you are not logged in to your site. I mean a real, LIVE person who can bring your site to life, answer basic questions about you, and send you your hot leads right to your email immediately. I was introduced to Justin Shum, CEO of ReadyChat, prior to our Agent Reboot Toronto visit. We have since done an Inman News Demo Day webinar, and it allowed me to see the platform, the people and the conversion percentage that goes way up, once live chat is customized to your website. For those who know me, I am a big fan of delegating to grow your business, but this solution solves many of today’s digital marketing and mobile challenges. In today’s Internet world, we know many things to be true. Consumers browse the Web to gather information, and they are often mobile on a variety of devices. They don’t always know when to ask the right questions — they ask only when they are ready. They expect a fast response, and are tired of automated answering services. ReadyChat can help you accomplish it all, while you focus on selling. Fast response in real time: Consumers expect a response in under five minutes, before they move on to the next agent. ReadyChat is a trained, live person, in real time, ready to answer questions and nurture your lead from cold to hot. Getting personal with a real person on your behalf: Personalizing customer experiences is the right way to create a rapport with an online visitor. ReadyChat has trained experts in doing just that, without being pushy, obnoxious or robot-like. 100 percent focused communication: The ReadyChat chatters are 100 percent focused on the human being they are talking to. They aren’t a call center. They are dedicated to your website and providing you with amazing customer service to your online visitors. Creating a great first impression with customized chat: Just like having a hostess, a greeter, a receptionist, the virtual world works very much the same. Create a lasting and different first impression. Paying ONLY for real leads: Get this. You don’t pay for leads until they are real. No dummy email addresses to weed through. No anonymous leads. Phone number, email address and interests … delivered straight to your inbox. The hard work is taken care of. Completely customizable. Get your chat added to your site, branded to fit in beautifully. 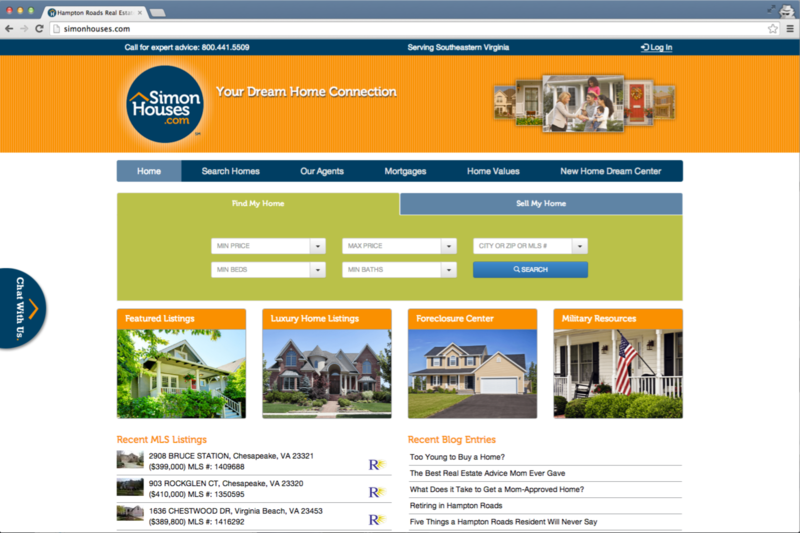 SimonHouses.com uses a live chat feature on its home page. Visit ReadyChat.com for more information. Take a little peek below!